The festive season is right around the corner. Many of you must have already started your Diwali preparations by this time. After all, Diwali is the biggest festival of India. It is during this auspicious time that families get together and celebrate. And no celebrations are complete without little indulgence. This often results in putting in some kilos of weight. But did you know that you can stay healthy even by indulging in some sweets. Let us see how you can do that. 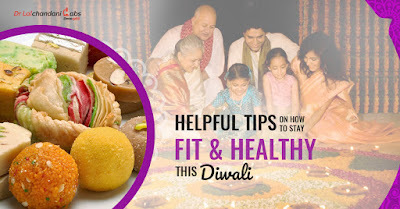 This post provide you with some helpful health tips on how to stay fit and healthy even during the time of festivities by following some easy tips. Keep reading this post for more details. Say not to crackers. If you have to burn crackers then make sure that you equip yourself and wear masks to cover your nose and mouth in order to prevent contracting any diseases. If you are already suffering from asthma or any respiratory problem, then wearing a mask when outdoors is mandatory for you. 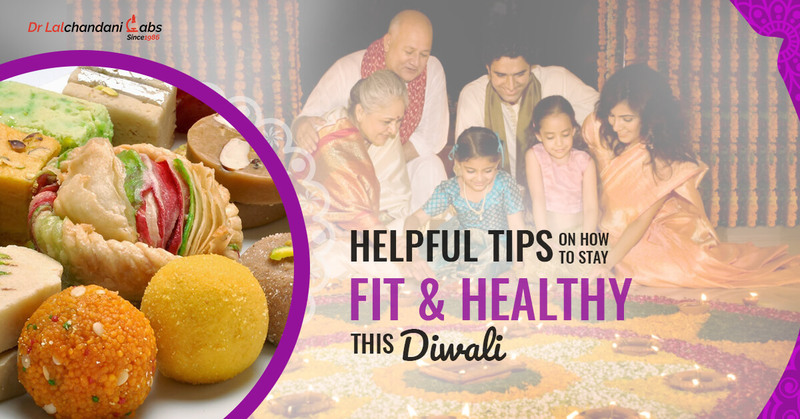 Since Diwali is also that time of the year to gift your near and dear ones with gifts and sweets, make a smart decision to switch to low fat or sugar free sweets. These days’ sweet shops prepare special sugar free sweets also. It’s just that you need to order for it slightly in advance. So plan well and make a conscious decision of protecting your as well as your near and dear ones health by opting for sugar free sweets. In the euphoria of celebrating Diwali with your near and dear ones, we often buy packaged sweets from the supermarket without even looking at it for the second time. But that is not a correct practice to follow. When picking up sweets from the supermarket or store rack, always make it a point to check the expiry date of that sweet. More often than not, supermarkets usually have the expiring soon products in the front while the fresh ones slightly behind just so that you pick those nearing expiry. So be careful and check the date before billing. Festivals are all about food. Another precaution which you must exercise is that you should, under no circumstances compromise on the quality of food which you consume or buy even for gifting. Always buy sweets from a reputed and known sweet shop or sweet mart as then you know that the products which go into making that box of mithai is of good quality, standard and hygiene level. Avoid consuming sweets from a local sweet mart as for a lower cost, quality gets compromised and your health may go in for a toss resulting in you getting diagnosed with a number of health ailments like food poisoning, dysentery etc. So stay safe. While Diwali is a festival of lights, it is also the season for having card parties which are more often than not, accompanied with cocktail parties. It is quite easy in such circumstances to go over board and have the extra pegs on the request of your friends. Nevertheless, it is definitely not a good sign medically and can be a cause for a wide range of severe medical ailments. So, this Diwali drink reasonably and stay healthy. To be on the safer side, you should also undergo medical tests to see if you are suffering from any medical problem in case you tend to consume the outside sweets and other delicacies. You should get this test done at Dr Lalchandani Labs where you can get all the tests done under one roof and at affordable rates and packages.